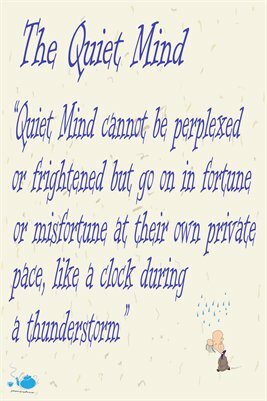 “Quiet Minds cannot be perplexed or frightened but go on in fortune or misfortune at their own private pace, lick a clock during a thunderstorm” is a quote by Robert Louis Stevenson. I love this saying because it reminds me to quieten my mind daily especially as “life” seems to be getting more and more chaotic around us. 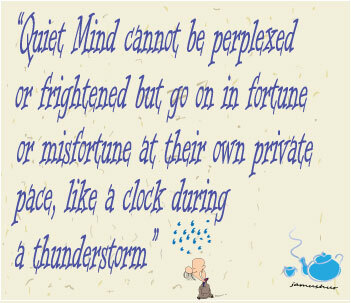 When my mind is quiet, I’m better able to handle the daily pressures and turmoil, whether real or exaggerated.